I don't dislike eggs ,but its good to experiment without them every once in a while to create a lighter calorie baked goodies.Also,for those with egg allergies(like my mom ) and on restricted diets this(and the previous) eggless bake wouldn't be a let down. 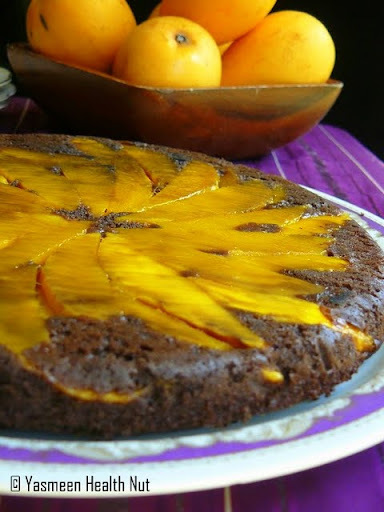 Talk about the star ingredient in the cake - the mangoes.The mango puree not just replaces the eggs but also adds to the sweetness of the cake.The fresh mango slices in every bite would make the cake a true mango indulgence.And of course the chocolaty touch with 100% cocoa powder cannot be substituted with any other ingredient. 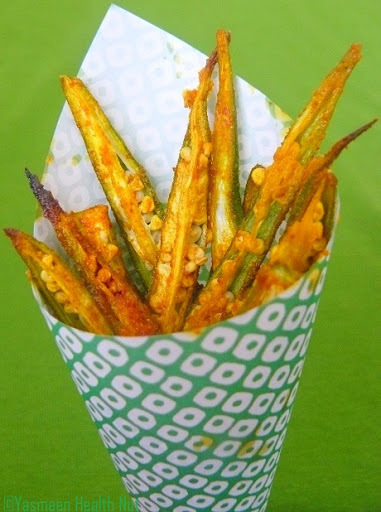 Preheat oven to 350ºF and adjust oven rack to middle .Lightly grease and line a 8x8 inch round pan with parchment paper.Arrange in the pan,the fresh mango sliced in a flower pattern. Sift all the dry ingredients in large mixing bowl,also mix in the chocolate chips.In another mixing bowl whisk together oil,milk,mango puree,vanilla and sugar. Now combine wet and dry mixtures. Pour in the prepared cake pan and set in the oven for 30-35 minutes until toothpick inserted comes out clean. 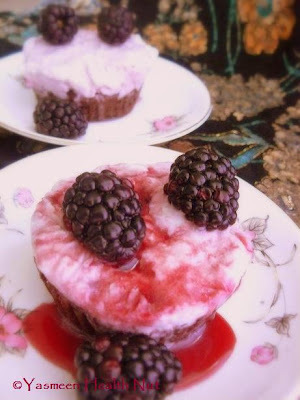 Cool cake for 30 minutes and flip on to a plate.Peel off the parchment,slice and serve.Can be refrigerated for a week. Hard to believe the cherished month of Ramadan is ending soon.Eid marks the celebration of recharged faith.Sweet delicacies of all kinds adorn the eid feasts,the cake would be such a pleasant addition. Eid Moubarak! That is a lovely cake! Eid Mubarak Yas to u and ur family...delicious looking chocolate cake, very irresistible..
First of all Eid Mubarak to you Yasmeen and your family :-) Fantastic looking cake. Eid Mubarak! What a yummy treat to celebrate! Wow! yummy and beautiful looking cake..loved it Dear..thanks for the eggless recipe..
What a lovely healthy blog u got....Eid Mubarak!! The cake luuks so yummilicious....n one health freak is soo happy to see another health nut :) tnx for sharing your skill and hardwork with all of us. Eid Mubarak dear. What a yummy looking cake !!! Eid Mubarak to you Yasmeen. That cake looks insanely good! Eid Mubarak to you and family Yasmeen. Are you back from your vacation..Great cake. Love the mango slice topping. Love it !!! Delicious looking cake. I am planning to make this cake. When i go through the ingredients list i am not sure how much oil should i add. if you don't mind can you tell me the quantity of oil to add. Wish u and ur family Happy Eid,..
Eid Mubarak to you and your family Yasmeen. that a piece of art on plate. looks like sunrays infront of a dark background. must have tasted divine. I was doing some vegan baking for a while and honestly, it tastes so much lighter and fluffier than non-vegan baking! Crazy. 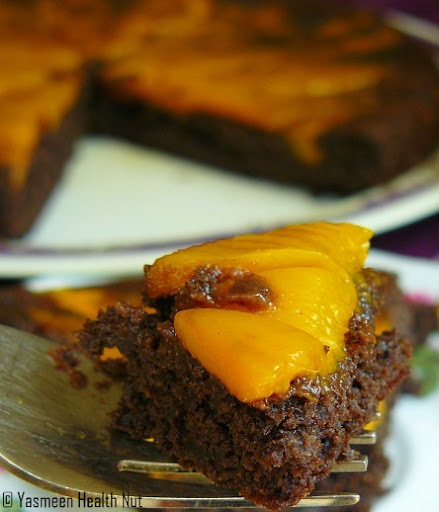 I love the sound of mangoes and chocolate together! this cake is lovely ! First time here...absolutely love ur blog especially because it has lots of tropical stuff...and I am totally in love with it! Lovely blog dear! 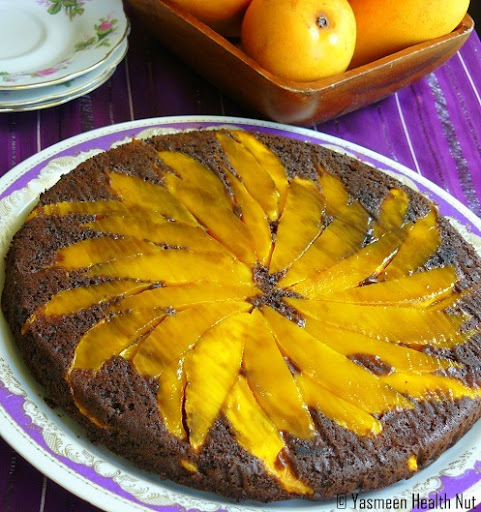 And this cake looks so beautiful....love the mango slices of top...gorgeous!!! 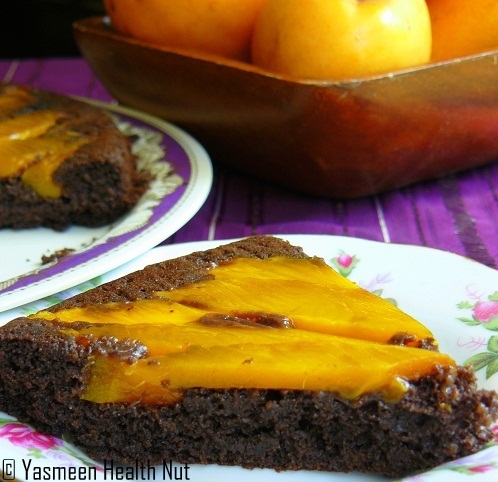 That spiral of mango slices on top is so pretty and the pairing with chocolate sounds amazing! Hope ur Eid was good,nice cake. u r totally awesome Yasmeen as always! that first picture looks so cute! I have never thought of or really wished to make eggless cake as I don't make cakes often and when I do I don't mind the egg. But I'm gonna try this! This is a wonderful cake! Eid Mbarak! Oh my! This looks so delicious. I want to jump through my computer screen and eat this up. I WILL be making this very soon. Now, I'm really hungry! 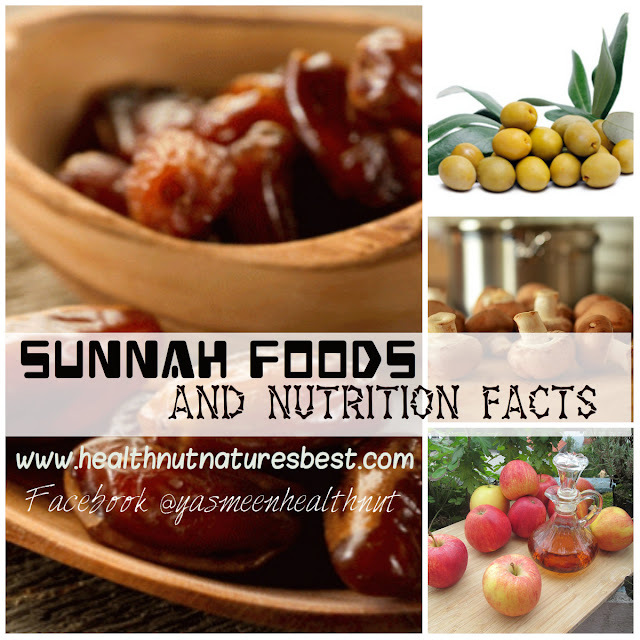 Thanks, Yasmeen for putting together recipes for those who are trying to live a healthy diet. Eid mubarak Yasmeen,I have made this cake so many times and everyone seems to love it. I add banana ,nuts what not. Only suggestion is I have to add baking SODA not baking powder for the cake to rise. You may want to correct the same.